Lumin speaks of light. It speaks of luminaries. It pays homage to the rich history of Nobel laureates and intellectual luminaries that we have in the Caribbean, who have taken their ingenuity and shared it with the world. Just like these luminaries, we have a lot to offer. With an expansive Alumni, a vast Diaspora and a University footprint in over twenty-one countries, Lumin Consulting is powered by the tremendous engine that is the University of the West Indies and Caribbean community. As the commercial arm of the University of the West Indies, a global University with close to 70 years rooted in Caribbean development, and the challenges affecting developing nations, Lumin Consulting draws on this diverse expertise and offers research, strategy and enterprise development consulting services. Our experience over the years affords us unique insights into the needs not just of the Caribbean region, but other regions around the world which face similar challenges. There is no one who understands how our development path has created our current trajectory and how we envision ourselves in the future better than we do. Lumin is the gateway for SIDS and developing nations of the world to leverage world class developing country expertise to chart transformational paths. We understand and live developing country challenges every single day and so we have invested in the development of the intellectual capacity to design world class bespoke solutions – for us, by us. We create transformation and impact. We are driven to unlock the development potential of our region and help developing economies to make a giant leap forward, laying the foundation for a bright future that can benefit future generations. We are inspired by those luminaries before us who envisaged our region far into the future and crafted strategies that were ahead of their time. In the same way, we build on their foundation, working to unlock the development potential of SIDS and Small States amidst the unique challenges of today, to the benefit of future generations. We are powered by a commitment to development and are driven to effect change. We use our unique insights and innovative strategies to create transformative solutions that will make a positive global impact. We strive to raise the level of global thought leadership as drivers of transformative solutions to challenges as we evolve and expand our commitment to sustained growth in the Caribbean, Pacific and developing regions of the world. We are committed to delivering transformative solutions that will make the greatest impact for every client on every project. Our core team, which is based in between Jamaica and Barbados, help us to ensure this through the management of our day to day operations and business development. But this is not all of us: Behind the core team at Lumin Consulting, we have over five thousand University of the West Indies professionals, a vast Alumni, an exceptionally skilled and accomplished Diaspora and partners in every region of the world who constitute our specialized teams. 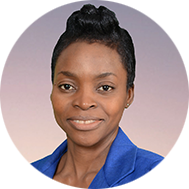 An International Trade Specialist by training, Lisa lived and served in the East African region from 2008 until 2011 where she served as Uganda’s lead technical adviser and a member of the negotiating team for services in the East African Community trade talks with Europe and the EAC Common Market. During that time she worked on projects in East and Southern Africa for several development partners including the World Bank, UNCTAD, the European Union and Trade Mark East Africa. 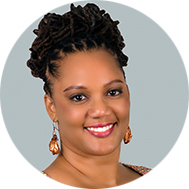 In her current role, she leads teams which provide advisory services to Caribbean institutions including the Planning Institute of Jamaica, the Development Bank of Jamaica, the Caribbean Development Bank and numerous regional Governments..
Melissa joined the team in 2016. A Social Development Practitioner by training, she has over ten years’ experience in project management, development consulting and entrepreneurship. 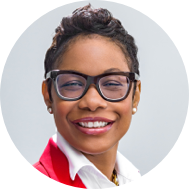 Melissa currently oversees the Caribbean Mobile Innovation Project, which supports the development of tech and tech enabled businesses across the region. 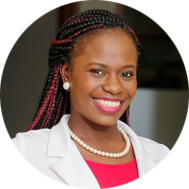 Her work at the company focuses on the development of the entrepreneurial ecosystem, crafting tech based solutions for Caribbean challenges and supporting commercialisation of research. Melissa holds a Masters in Social Development Practice from University College London, and BSc. in International Relations and French from the UWI, Mona Campus. Stacy brings over 15 years’ of experience in various industries including manufacturing and pharmaceutical sales and the public sector. She has worked in Project Management, Business Development, Marketing Operations and Human Resources. As Senior Projects and Portfolio Officer, Stacy manages our clients in governments, non-governmental organizations and the civil society. She holds a BSc. International Relations from the University of the West Indies (UWI), MBA–Marketing from Mona School of Business, UWI and LLB from the University of London. In 2015, she completed Risk Manager Training, PECB. Kerryann Hodges is the Talent Management Unit Coordinator. Kerryann has extensive experience in identifying and recruiting affiliates to form the company’s pool of expert consultants. She is the company’s event planner. She has worked at the company for eight years, and has been instrumental in developing project bids. Kerryann has a Bachelor of Arts degree in Library and Information Studies. 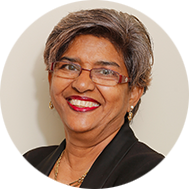 She has also, completed several certificate courses which includes a Certificate of Achievement in Introduction to Project Management and New Trends in Trade Agreements in Latin America & the Caribbean as well as a Certificate of Participation in Project Proposal Writing. Merlene R. Grant is presently the Administrative Assistant – Operations and Projects and Portfolio Unit. Mrs. Grant has been with the company since 2013 and brought a wealth of experience in Operations, Customer Service, Financial and Administrative areas. She has extensive knowledge working with projects varying in scope and across diverse sectors, including health and commercial banking. She holds a certificate in State Protocol and Business Etiquette and a Certificate of Achievement in Principles and Practices of Project Management from the Mona School of Business & Management. 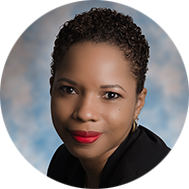 Claudine A. Hylton is the Administrative Assistant for the Finance division, with over 10 years’ experience in the Administrative field. A holder of the CPS accreditation in Administration as well as a UK Diploma in Business Management. Miss Hylton is presently undertaking the ACCA course in Accounting. She is also a member of the Association of Business Executives (UK). Formerly known and trading as UWI Consulting Inc.
© 2017 Lumin Consulting. All Rights Reserved.